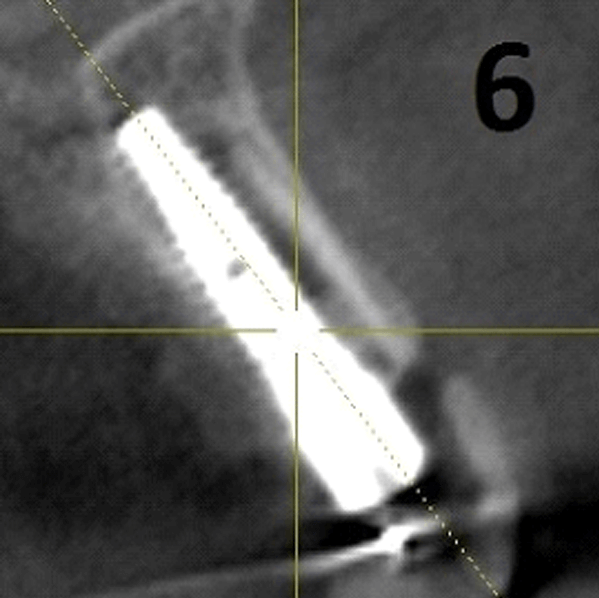 Replacing a single anterior tooth with an implant is a challenge for every dentist. The risk of losing vestibular bone height and soft tissue is unacceptable from an aesthetic point of view. 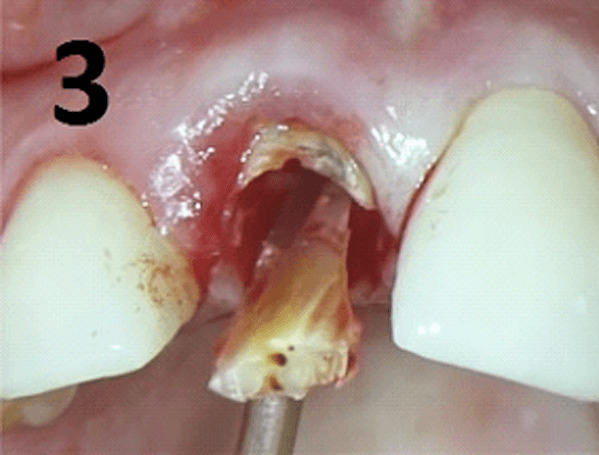 The presence of osteoclasts on the inner surface of the socket walls indicates that the bundle bone will undergo resorption. Anatomically, the buccal bone of the teeth is thinner than lingual or palatal bone. Therefore, as bundle bone is a tooth-dependent tissue, it will gradually reduce after extraction. Since there is more bundle bone in the crest of the buccal wall than the lingual wall, hard tissue loss will become most pronounced in the buccal wall (Lindhe, Clinical Periodontology and Implant Dentistry, 2008). These scientific evidences and the clinical experience of immediate implant placement in fresh extraction sockets have led us to think that by preserving the periodontal tissues on the buccal part of the socket, we could prevent bone resorption in this critical area. 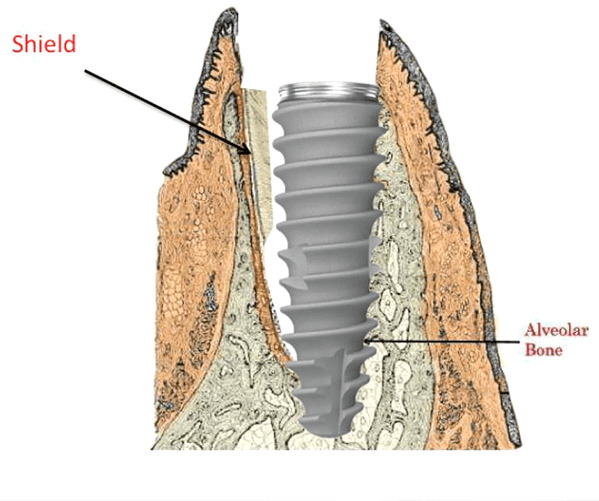 The socket-shield (SS) technique provides a promising treatment, better manages the risks, and preserves the post-extraction tissues in aesthetically challenging cases. We need to preserve and use the bundle bone to our advantage. The principle is to prepare the root of a tooth indicated for extraction in such a manner that the buccal root section remains in-situ with its physiologic relation to the buccal plate intact. 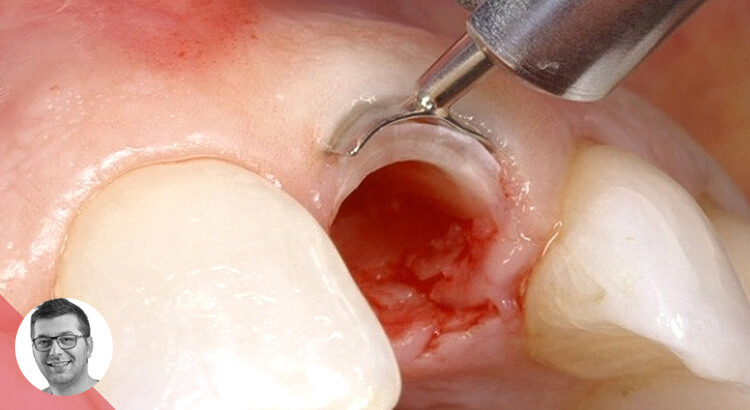 The tooth root section’s periodontal attachment (periodontal ligament (PDL), attachment fibers, vascularization, root cementum, bundle bone, alveolar bone) is intended to remain vital and undamaged so as to prevent the expected post-extraction socket remodeling and to support the buccal / facial tissues. (Howard Gluckman, Jonathan Du Toit, Maurice Salama). Cut the crown of the tooth that is going to be extracted. Section the root (separation) in the mesio-distal direction as far apical as possible using a long appropriate bur. Now the root is separated in buccal and palatal/lingual section. Extract the palatal/lingual portion gently and leave the buccal part attached to the tooth socket. 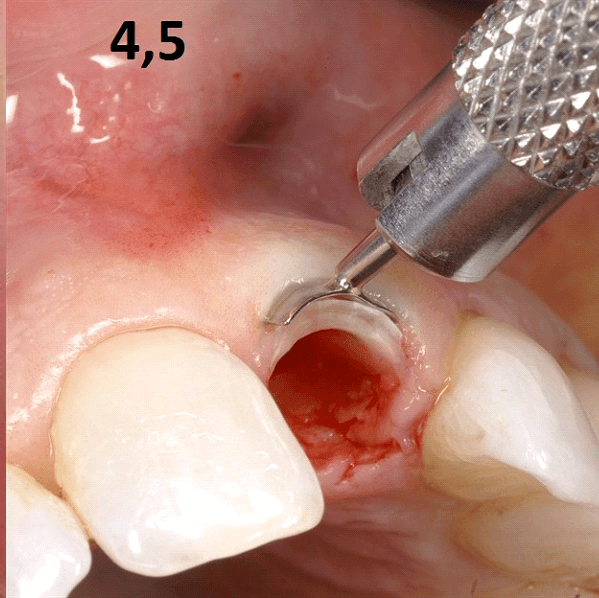 Reduce the remaining root section coronally to 1mm above alveolar ridge and ensure a concave atraumatic contour of the shield. 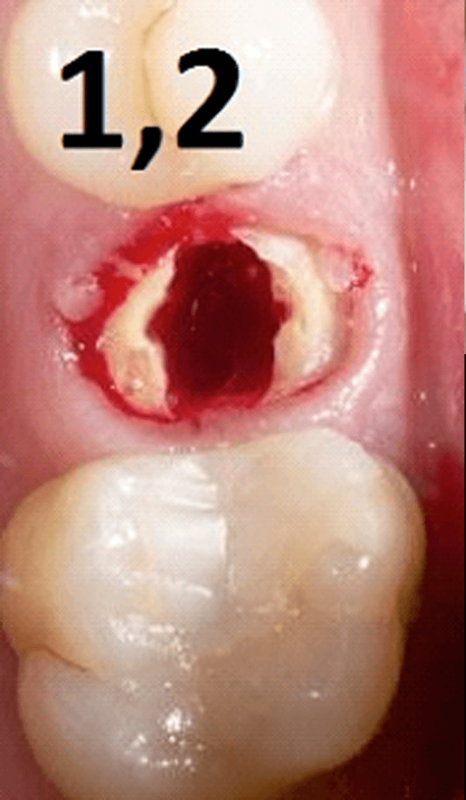 The tooth socket’s palatal wall and apex were then curetted to remove any tissue or infective remnants and the root section was checked for immobility. Prepare the site for implantation and then place the implant palatal to the socket shield.